The Buxton Suite is a large self-contained suite equipped with a television, alarm clock with iPod dock, wi-fi, hot drinks tray with fresh milk, crisp linens and luxury towels. You will also find the perfect finishing touches such as luxury toiletries, fresh flowers, a selection of magazines and cosy bathrobes. 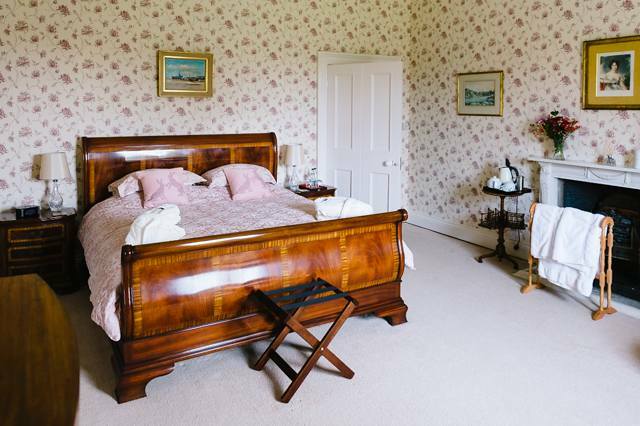 Bed & breakfast guests approach Hoveton Hall along a long winding drive, with spectacular views across of the estate. You will be greeted personally by Rachel or Harry at the main door, before being shown around the hall and then to your rooms. Breakfast is served in the dramatic oak-panelled Library, with views over the estate and the sweeping drive. Choose from a varied menu ranging from fresh fruit, cereal and yogurts to the traditional Full English with meat from our local Butcher, Massingham's of Wroxham.